Belonging to the Han clan, Sun Guangxin was born in Xinjiang, one of the poorest regions in China. At that time, there were scarce opportunities. Despite the odds, Sun gained high education, and built his career with hard work and dedication. 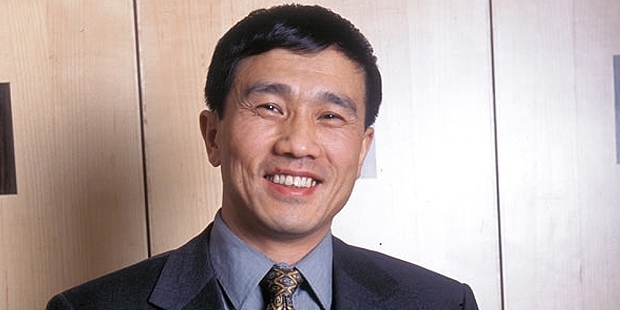 Although he started off with a military career, Sun soon became a competent entrepreneur, and founded the Xinjiang Guanghui Industry Investment Group in the year 1989. Today, his conglomerate has interests in real estate, auto distribution, as well as span energy. 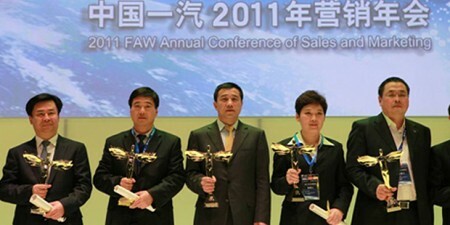 His group controls the China Grand Auto, largest auto dealer in China today. Guangxin received his primary education in the Anhui Military School. This was the time of China-Vietnam war, and the military required soldiers. He was selected for the service, and served in the military for a few years. In 1989, he left the army with more than 300 soldiers working under his commands and a medal of honor too. He had no money, but a lot of ambition. 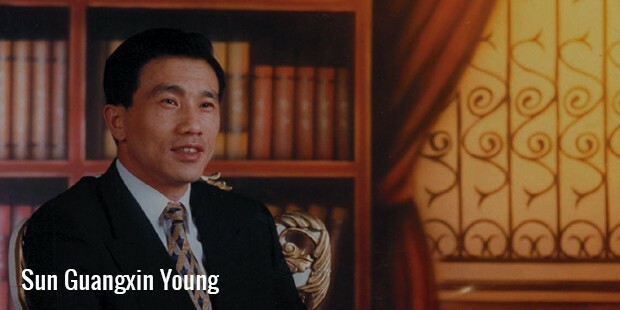 Sun Guangxin had entrepreneurial skills from an early age itself. At 26, he borrowed $50,000 from a cotton trader in Japan, and opened a sea-food restaurant at Urumqi. The restaurant turned out to be a success, and he soon returned the loan to the trader along with interest. Guangxin has also significantly contributed towards the development of Urumqi. He established a number of modern entertainment facilities in the city, including a dance hall, a karaoke bar, a bowling alley, and a swimming pool. Today, the city has become a booming industrial center of China. 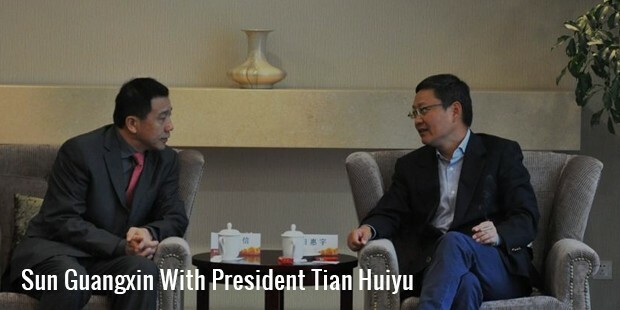 In 1989, he started Guanghui Industry & Trade Co. Ltd., which later became the Xinjiang Guanghui Industry Group. Over the next few years, the group was involved in a number of activities, including real estate, transportation, foreign trade, chemicals, plastics etc. The region of Xinjiang was quite rich in oil reserves, but did not have capital enough to extract it. 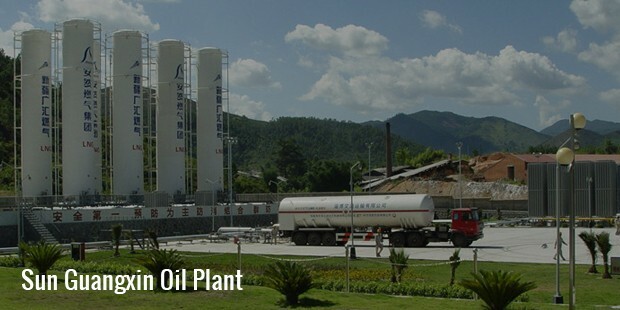 Looking at this, Guangxin decided to step in, and imported two costly oil pumps to start the oil extraction project in 1990. This was a great risk in those tough economic times, but his efforts paid off, and he soon became a success. He bought an expensive office in Xinjiang, and soon ventured into real estate market. He subsequently took up the granite business. 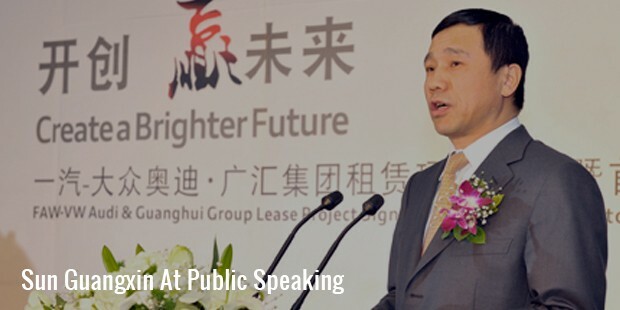 Today, Sun Guangxin is the CEO of his group, and is involved in diverse industries of China. At the age of 50, he seems to reach the highest point of his career. As compared to most other entrepreneurs, he is still in the early stage of his career, and there is much more to come from him. He always aims at moving forward, and this ambitious entrepreneur is not going to rest any sooner.